I love taking part in this activity and seeing all the wonderful costumes and the cute kiddies modeling them. When my son was in preschool he attended this event representing France. He looked very French in his attire. 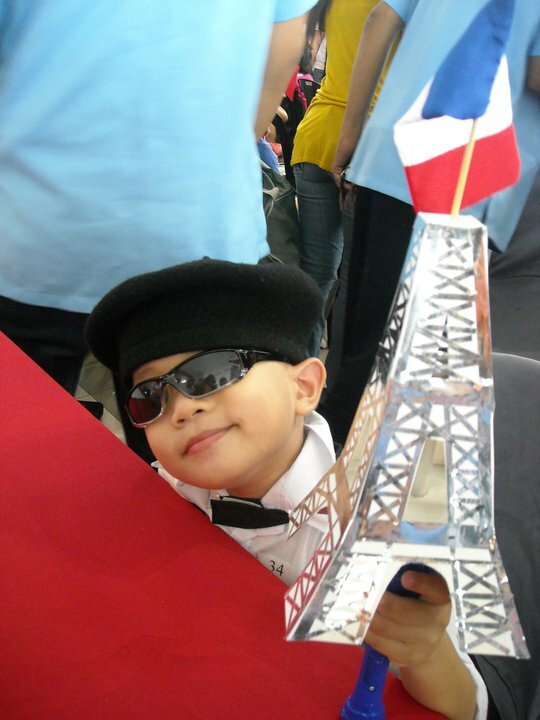 I even pulled together my art skills and made him this tiny Eiffel tower with the flag on top. He did not win, Mr, Philippines did, but just the same...we had lots of fun just being part of the event. SM Center Las Piñas Marketing Department at 8367890.